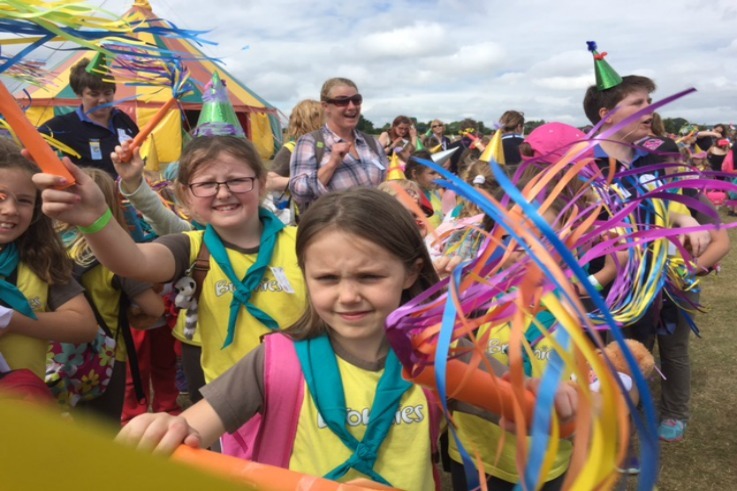 On Saturday, 1400 members of Girlguiding Shropshire celebrated 100 years of guiding in Shropshire with a carnival fair themed event at Shrewsbury College. Rainbows and Brownies from across the county spent the day at Shrewsbury College taking part in activities such as bhangra dancing, circus skills workshops and a silent disco, as well as adding to a tile mosaic which will be displayed at the Jackfield Tile Museum to mark our centenary. The girls then made hats and shakers and took part in the carnival parade along with guides and senior section members.